This book is designed to assist people in their quest for peace and better health. Most people I come in contact with comment that their lives are so busy and they fight sickness. Since 2001 I have been learning about the Israelites (Jewish people that God set apart and into which Gentiles are grafted in) and how they lived. In 2005 our family spent 4 months in Israel. Since then we have traveled back and forth between Israel and the United States. In December of 2010 we rented a home in Northern Israel. Rose grew up in Indiana and graduated from Taylor University with a B.A. in Christian Education and a Psychology minor. She and her husband, Todd, were ordained in 2007. They work together to teach the message of God's grace to a world that is filled with stress and fear. 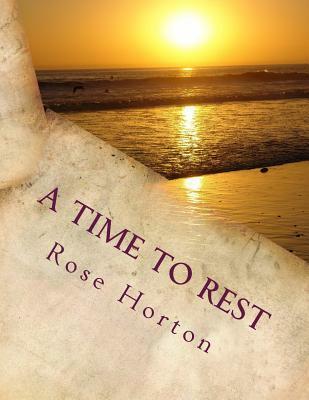 Rose enjoys encouraging women to understand the significance of resting, refreshing and restoring themselves so they can be a better influence to those around them. She is blessed to be the mother of four children ages 8 to 12 and home schools them.